Speeding is one of the most prevalent factors contributing to car accidents in the United States. The economic cost to society of speeding-related crashes is estimated by the NHTSA to be $40.4 billion per year. In 2007, speeding was a contributing factor in 31% of fatal crashes, killing 13,040 people. 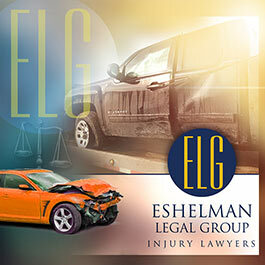 At Eshelman Legal Group, we use every means available to prove negligence on the part of a speeding driver in order to obtain the highest monetary reward for our clients. For a free case evaluation, contact our Ohio car accident lawyers today. Speeding reduces a driver’s ability to steer safely around curves or objects in the roadway, extends the distance necessary to stop a vehicle, and increases the distance a vehicle travels while the driver reacts to a dangerous situation. For drivers involved in fatal crashes, young males are the most likely to be speeding. The relative proportion of speeding-related crashes to all crashes decreases with increasing driver age. In 2007, 39 percent of the male drivers 15 to 20 years old who were involved in fatal crashes were speeding at the time of the crash. Further, alcohol and speeding seem to go hand in hand. In 2007, 26 percent of the speeding drivers under 21 years old who were involved in fatal crashes were also intoxicated, with a blood alcohol concentration (BAC) of 0.08 (grams per deciliter [g/dl]) or greater. In contrast, only 13 percent of the non speeding drivers under age 21 involved in fatal crashes in 2005 were intoxicated. For drivers between 21 and 24 years of age who were involved in fatal crashes in 2007, 52 percent of speeding drivers were intoxicated, compared with only 26 percent of non speeding drivers. Alcohol and speeding are clearly a deadly combination. In 2007, 36 percent of all motorcyclists involved in fatal crashes were speeding, compared to 24 percent for passenger car drivers, 19 percent for light-truck drivers, and 8 percent for large-truck drivers. In 2007, only 49 percent of speeding passenger vehicle drivers under 21 years old who were involved in fatal crashes were wearing safety belts at the time of the crash. In contrast, 70 percent of non speeding drivers in the same age group were restrained. For drivers 21 years and older, the percentage of speeding drivers involved in fatal crashes who were using restraints at the time of the crash was 45 percent, but 74 percent of non speeding drivers in fatal crashes were restrained.